MADRID, Spain – Close to 1.1 million bikes were sold in Spain last year. 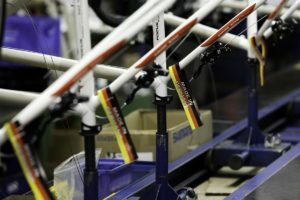 According to the ‘Bicycle 2014’ study by AMBE, the national association of manufacturers, importers and distributors in Spain, the number represented a 5.2% growth in unit sales. Consumption of cycling products grew bigger and even outperformed sales of all other sports categories. AMBE’s second market study shows that exactly 1,088,548 bicycles were sold in Spain in 2014, generating a total turnover of €490 million. 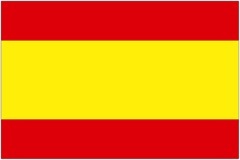 This means that the average value per sold bike in Spain stood at about €450. However, the differences between the IBD and the multi-sports channel are very big in Spain. It was not Spain’s own bicycle industry that saw a benefit from the upward trend of the market. Though the market increased by 5.2% in volume, production in Spain decreased by 5.1%, to 355,757 units in 2014. Imports increased by 11% to 732,791 bicycles. The AMBE study did not specify the originating countries of these bikes. According to the AMBE study the €490 million turnover made with bike sales represented 36.2% of total turnover of cycling sector. Including all P&A sales and other income sources related to bikes at IBDs and other distribution channels, total turnover of cycling products stood at €1,354,500. This total consumption rose 6.6% in 2014. With that growth, cycling outperformed all other sports categories; even football. The growth of the cycling business comes together with an increase in the number of companies involved in this industry. The AMBE study shows this industry today includes 304 companies (manufacturing, agencies and importer), an increase of 15% since 2010. 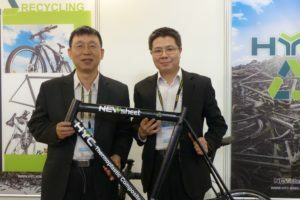 Though their market share decreased, even the number of manufacturers related to the cycling industry increased. The Spanish bicycle market consists of two big categories: mountain bikes and kids bikes. Of the 1,088,548 bicycles sold in Spain in 2014, 48% were mountain bikes and 36% kid bikes. MTB’s and kid bikes together make up almost the entire market in Spain, with over 80% of the market, or 919,154 units. In value these two categories total 73.27% or €359.5 million. Not surprisingly road racing is the second largest category in Spain in value after mountain bikes. At an average price of €1,455 this segment generates 16.8% of the business (€82.4 million). According to the AMBE study electric bikes deserve special attention. 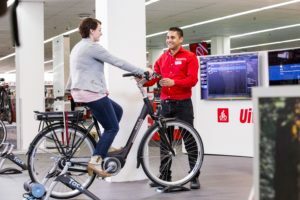 In particular as Spain is, “On the path of strong growth for this category in the next years.” In 2014 Spain’s total e-bike sales stood at 17,655 units. Still a low figure. However, AMBE says it scored the highest percentage growth (76.2%) of all categories, which is also on par with data from other European markets. 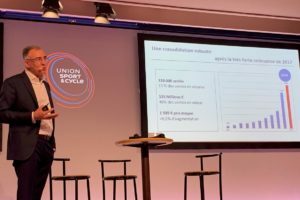 In Spain e-bikes sell at an average price of €1,304. As with other mountain bike markets, Spain is rapidly shifting from 26-inch to 27.5 and 29-inch wheel models. In 2014 the market share of 26-inch decreased from 59% in 2013 to 29% last year. The 29er now represents 46% of the market (33% in 2013) and the 27.5-inch 22% (6% in 2013). 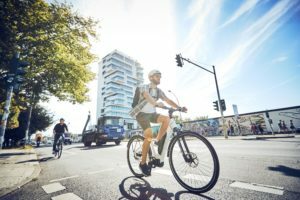 In addition to sales, the AMBE study points to a strong growth in the number of companies operating in the Spanish bike sector during the last years. Striking also is the rising number of IBDs. In 2014 Spain saw an increase in IBDs by 10%, to 2,803 outlets. Despite the presence of large multi-sports retail giants like Decathlon, Sprinter, Forum, Wala, and Sport zone, as well as Carrefour and El Corte Inglés, the IBDs still hold a market share of 41%, selling 359,569 units at an average price of €803.39. The average price of bicycles sold at IBD’s is four times the price at multi-sports stores and hypermarkets, which stands at just over €200. In 2014 the IBDs lost a small portion of their market share as the number of bikes sold at IBDs increased by 4.51% while the market grew by 5.2%. The multi-sports channel was the big winner, as their sales increased by 14.23% in volume, while distribution at the hypermarkets Carrefour and El Corte Inglés declined by 5.89% in units.